Walken's early career was primarily in theater and television where he often played small roles. 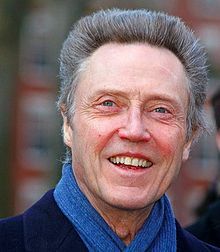 During this period of his career, Walken was credited as "Ken Walken" and later as "Ronnie Walken", until he finally settled on "Christopher Walken". He began acting in films in 1969 and, after a series of increasingly larger roles, won an Academy Award in 1978 as Best Supporting Actor for his role in The Deer Hunter. Since then, Walken has become a highly sought-after actor, typically performing in numerous films every year. Walken has been a primary character in two film franchises: as Gabriel the fallen angel in The Prophecy series, and as Jacob Witting in the made-for-television films based on Patricia MacLachlan's Sarah, Plain and Tall novels. Other notable roles include Johnny Smith in The Dead Zone, Captain Koons in Pulp Fiction, and Frank Abagnale Sr. in Catch Me if You Can. He also sings and dances, as seen in some of his films including: Puss in Boots, Hairspray, and Pennies From Heaven. Following his early (1950s) work in television and theater, Walken has acted primarily in films. This list includes credits in studio films, independent films, animated films, and made-for-television movies. The list includes the 2001 short five-minute film Popcorn Shrimp which Walken wrote, produced and directed. In the beginning of his acting career, Walken had relatively small roles in episodes for a number of television shows. This list includes appearances in various episodes of fictional shows, while excluding appearances as himself on talk shows, interview shows, ceremonies, and the like. ^ III Credited as "Ronnie Walken". Walken has hosted Saturday Night Live a total of seven times, and is therefore part of the "Five-Timers Club", a select group of celebrities who have hosted the show five or more times. Among Walken's roles on the show, are as the title character in "The Continental" and as fictional record producer Bruce Dickinson in "More cowbell". In 2004, The Best of Christopher Walken was released on DVD, featuring highlights from Walken's many appearances on the show. In addition to acting for film and television, Walken has acted in numerous Broadway and off-Broadway theater productions. He has acted in more than 100 additional plays including some by Shakespeare. This list includes the most popular of them. "Christopher Walken - Filmography". Allmovie. Retrieved January 1, 2008. "Christopher Walken Movie Box Office Results". Box Office Mojo. Retrieved January 14, 2008. "Christopher Walken (Results Page)". oscars.org. Academy of Motion Picture Arts and Sciences. Retrieved January 16, 2008. "Christopher Walken at Hollywood.com". Hollywood.com. Retrieved January 12, 2008. "Saturday Night Live recaps". nbc.com. NBC. Retrieved January 12, 2008. ^ "Christopher Walken biography". IMDb. Retrieved November 10, 2014. ^ Reid, Dixie (October 24, 2004). "Bend it like Walken: Actor has more to say about food and hair than acting". The Sacramento Bee. Archived from the original on December 22, 2004. Retrieved March 9, 2009. ^ "Christopher Walken filmography". IMDB. Retrieved November 13, 2014. ^ Schnakenberg, Robert (2014). Christopher Walken A to Z: The Man, the Movies, the Legend. Quirk Books. ISBN 9781594747755. ^ "The Three Musketeers 3D: enter the dragon flamethrower". The Guardian. March 30, 2011. Retrieved January 20, 2015. ^ Collis, Clark (December 2, 2014). "Christopher Walken just wants to dance". Entertainment Weekly. Retrieved January 20, 2015. ^ Thompson, Howard (June 29, 1972). "The Happiness Cage (1972) Dennis Reardon's 'Happiness Cage' Is Better Suited to Stage". The New York Times. Retrieved January 20, 2015. ^ Roberts, Jerry (2009). Encyclopedia of Television Film Directors. Scarecrow Press. ISBN 9780810863781. ^ Canby, Vincent (February 5, 1976). "Next Stop Greenwich Village (1976) Screen: 'Next Stop, Greenwich Village,' a Commonplace Mazursky Memoir". The New York Times. Retrieved January 20, 2015. ^ Muir, John Kenneth (2002). Horror Films of the 1970s. McFarland. ISBN 9780786491568. ^ Pinsker, Joe (February 7, 2013). "Christopher Walken Looks Back At 'Annie Hall,' 'Deer Hunter'". The Huffington Post. Retrieved January 20, 2015. ^ Canby, Vincent (October 2, 1977). "Roseland (1977) Film Festival: 'Roseland' Casts Spell Over Lonely Fox-Trotters". The New York Times. Retrieved January 20, 2015. ^ Lackmann, Ronald W. (1997). Women of the Western Frontier in Fact, Fiction, and Film. McFarland. ISBN 9780786404001. ^ Maslin, Janet (December 26, 1978). "Movies 'Discover' Christopher Walken". The New York Times. Retrieved January 20, 2015. ^ Canby, Vincent (May 4, 1979). "Last Embrace (1979) Movie: 'Last Embrace,' a Hero-Besieged Thriller:The Game Is Deadly". The New York Times. Retrieved January 20, 2015. ^ Lim, Dennis (September 21, 2012). "Time Has Been Kind to 'Heaven's Gate'". The New York Times. Retrieved January 20, 2015. ^ Canby, Vincent (February 13, 1981). "The Dogs of War (1981) 'DOGS OF WAR,' FORSYTH'S MERCENARIES". The New York Times. Retrieved January 20, 2015. ^ a b c Boult, Adam (April 5, 2013). "Christopher Walken: five best moments". The Guardian. Retrieved January 20, 2015. ^ "Who Am I This Time? (1982)". The New York Times. Retrieved January 20, 2015. ^ Appelo, Tim (November 18, 2011). "Natalie Wood, Christopher Walken's 'Brainstorm': How the Actress' Death Derailed Her Final Film (Video)". The Hollywood Reporter. Retrieved January 20, 2015. ^ Susman, Gary (October 18, 2013). "The Dead Zone". Time. Retrieved January 20, 2015. ^ Fay, Joe (October 8, 2012). "Target Silicon Valley: Why A View to a Kill actually made sense". The Register. Retrieved January 20, 2015. ^ Chambers, Andrea (May 26, 1986). "From Any Distance, at Close Range Star Christopher Walken Comes Off as Edgy, Electric and Elusive". People. Retrieved January 20, 2015. ^ Canby, Vincent (September 11, 1987). "War Zone (1987) Film: 'Deadline,' on Beirut in 1983". The New York Times. Retrieved January 20, 2015. ^ Carr, Jay. "THE MILAGRO BEANFIELD WAR". tcm.com. Turner Classic Movies. Retrieved January 20, 2015. ^ Ryan, Desmond (March 30, 1988). "A Turning Point For Christopher Walken His Movie Role As A Quiet Drill Sergeant Breaks The Mold". philly.com. Philadelphia Media Network. Retrieved January 20, 2015. ^ Durando, Jessica (March 19, 2014). "Watch: Christopher Walken dances, dances and dances". USA Today. Retrieved January 20, 2015. ^ Maltin, Leonard (2014). Leonard Maltin's 2015 Movie Guide. Penguin. ISBN 9780698183612. ^ Maslin, Janet (November 10, 1989). "Communion A True Story (1989) Review/Film; Little Bitty Extraterrestrials And Their Jolly Chosen One". The New York Times. Retrieved January 20, 2015. ^ Maslin, Janet (September 22, 1990). "King of New York (1990) Film Festival/Two Portraits: One of Romance in France, One of Crime in New York; Drug Lord Reigns Supreme Amid Urban Decadence". The New York Times. Retrieved January 20, 2015. ^ Travers, Peter (November 30, 1990). "The Comfort of Strangers". Rolling Stone. Retrieved January 20, 2015. ^ Hill, Michael (February 1, 1991). "Hallmark's 'Sarah' and Glenn Close are far from plain". The Baltimore Sun. Retrieved January 20, 2015. ^ Ryan, Desmond (February 10, 1992). "'Mcbain': Walken In Rambo Colors". philly.com. Philadelphia Media Network. Retrieved January 20, 2015. ^ Holden, Stephen (August 7, 1992). "Mistress (1992) Reviews/Film; Merrily Dealing and Double-Dealing in Hollywood". The New York Times. Retrieved January 20, 2015. ^ Weinraub, Bernard (June 24, 1992). "AT LUNCH WITH: Christopher Walken; A New York Actor Takes Stardom With a Grain of Salt". The New York Times. Retrieved January 20, 2015. ^ Briggs, Joe Bob (August 20, 1993). "Hot Ethnic Mix Boils In 'Day Of Atonement'". Orlando Sentinel. Retrieved January 20, 2015. ^ "Christopher Walken's 5 Greatest Moments". The Huffington Post. March 31, 2014. Retrieved January 20, 2015. ^ Scott, Tony (May 24, 1993). "Review: 'Scam'". Variety. Retrieved January 20, 2015. ^ "Christopher Walken: The Salt of the Earth in 'Skylark'". Ellensburg Daily Record. February 4, 1993. ^ Baker, K.C. (June 11, 2014). "Christopher Walken Is a Dancing Machine in Jersey Boys". People. Retrieved January 20, 2015. ^ Berry, Andrew (July 24, 2013). "Christopher Walken To Play Mob Boss In Film Adaptation Of Four Seasons Musical 'Jersey Boys'". International Business Times. Retrieved January 20, 2015. ^ Green, Philip (1998). Cracks in the Pedestal: Ideology and Gender in Hollywood. Univ of Massachusetts Press. ISBN 9781558491205. ^ Rainer, Peter (May 5, 1995). "MOVIE REVIEW : 'Search and Destroy': A Dark Comedy With Punch". Los Angeles Times. Retrieved January 21, 2015. ^ Holden, Stephen (September 2, 1995). "The Prophecy (1995) FILM REVIEW; The Devil And God At War Over Souls". The New York Times. Retrieved January 21, 2015. ^ James, Caryn (October 4, 1995). "The Addiction (1995) FILM REVIEW;A Philosophy Student Who Bites". The New York Times. Retrieved January 21, 2015. ^ Settembre, Jeanette (November 30, 2014). "Christopher Walken is ready to Hook you with his offbeat villainy in NBC's 'Peter Pan Live'". Daily News. Retrieved January 21, 2015. ^ Maslin, Janet (December 1, 1995). "Things to Do in Denver When You re Dead (1995)FILM REVIEW;A Well-Dressed Saint In a Den of Wiseacres". The New York Times. Retrieved January 21, 2015. ^ "Profile: Christopher Walken". The Guardian. September 4, 2004. Retrieved January 22, 2015. ^ Chou, Kimberly (July 21, 2010). "Basquiat: Behind the Interview". Art in America. Retrieved January 22, 2015. ^ Gilbey, Ryan (April 19, 1997). "THE FUNERAL Director: Abel Ferrara. Starring: Christopher Walken, Chris Penn, Isabella Rossellini, Annabella Sciorra (18)". The Independent. Retrieved January 22, 2015. ^ Ollove, Michael (August 30, 1997). "A prisoner of excess Review: Alicia Silverstone's film 'Baggage' is light on acting, plot and laughs". The Baltimore Sun. Retrieved January 22, 2015. ^ Kaltenbach, Chris (April 17, 1998). "Walken's eyes reign supreme in 'Suicide Kings'". The New York Times. Retrieved January 22, 2015. ^ Kelly, John (December 19, 1997). "Building a Bitter 'Mouse' Trap". The Washington Post. Retrieved January 22, 2015. ^ "Prophecy II: Ashtown (1998)". The New York Times. Retrieved January 25, 2015. ^ Maslin, Janet (August 6, 1999). "Illuminata (1998) FILM REVIEW; Backstage With a Cast Of Foibles and Follies". The New York Times. Retrieved January 25, 2015. ^ Thomas, Kevin (October 8, 1999). "Dafoe Checks Into Ferrera's 'New Rose Hotel'". Los Angeles Times. Retrieved January 25, 2015. ^ a b "Christopher Walken Filmography". The Washington Post. Retrieved January 25, 2015. ^ Hettrick, Scott (February 26, 1999). "Antz: Adult Comedy Or Cartoon?". Sun-Sentinel. Retrieved January 25, 2015. ^ a b Flood, Laura (September 7, 2012). "The Eight Creepiest Christopher Walken Performances". Paste. Retrieved January 26, 2015. ^ Chubbuck, Ivana (2005). The Power of the Actor: The Chubbuck Technique. Penguin. ISBN 9781592401536. ^ Pratt, Douglas (2005). Doug Pratt's DVD: Movies, Television, Music, Art, Adult, and More!. UNET 2 Corporation. ISBN 9781932916010. ^ "Vendetta (HBO movie)". Ain't It Cool News. September 1, 1998. Retrieved January 26, 2015. ^ Maslin, Janet (February 12, 1999). "Blast From the Past (1999) February 12, 1999 After Decades in a Bomb Shelter, a Family Learns the Only Fallout Is Social". The New York Times. Retrieved January 26, 2015. ^ "The Prophecy III: the Ascent (2000)". The New York Times. Retrieved January 28, 2015. ^ Travers, Peter (August 11, 2000). "The Opportunists". Rolling Stone. Retrieved January 28, 2015. ^ Mitchell, Elvis (April 11, 2001). "Joe Dirt (2001) April 11, 2001 FILM REVIEW; Abandoned as a Boy and Downhill Since". The New York Times. Retrieved January 28, 2015. ^ von Tunzelmann, Alex (November 5, 2009). "The Affair of the Necklace: nothing to get hot under the collar over". The Guardian. Retrieved January 28, 2015. ^ Scott, A.O. (July 20, 2001). "America s Sweethearts (2001) July 20, 2001 FILM REVIEW; A Celebrity Couple and the Emptiness of It All". The New York Times. Retrieved January 28, 2015. ^ Thomas, Kevin (February 8, 2002). "A Drive-Thru 'Macbeth' in Lifeless 'Scotland, PA.'". Los Angeles Times. Retrieved January 28, 2015. ^ "Happy Birthday To Wilton's Christopher Walken". The Daily Voice. March 31, 2014. Retrieved January 28, 2015. ^ Patterson, Hannah; Cullen, Del; Allon, Yoram (2002). Contemporary North American Film Directors: A Wallflower Critical Guide. Wallflower Press. ISBN 9781903364529. ^ Scott, A.O. (July 26, 2002). "Reuniting an Ensemble of Bears. Yes, Bears". The New York Times. Retrieved January 28, 2015. ^ Holden, Stephen (December 25, 2002). "Catch Me If You Can (2002) FILM REVIEW; Taking to a Gullible World Like a Mouse to Swiss Cheese". The New York Times. Retrieved January 28, 2015. ^ Forde, Leon (October 9, 2001). "Lee Evans, Christopher Walken undertake Plots". Screen Daily. Retrieved January 28, 2015. ^ Scott, A.0. (February 28, 2003). "Poolhall Junkies (2002)FILM REVIEW; Men Navigating Subplots While Shooting Pool". The New York Times. Retrieved January 28, 2015. ^ Rabin, Nathan (January 27, 2003). "Kangaroo Jack". The A.V. Club. Retrieved January 28, 2015. ^ Schedeen, Jesse (October 9, 2012). "Christopher Walken's Weirdest Characters". IGN. Retrieved January 28, 2015. ^ a b Miller, Julie (July 26, 2012). "Justin Bartha on Dark Horse, His Dinner Party with Christopher Walken, and The Hangover Part III". Vanity Fair. Retrieved January 28, 2015. ^ Holden, Stephen (April 30, 2004). "Envy (2004) FILM REVIEW; A Dog-Maintenance Miracle And the Shaky Empire It Built". The New York Times. Retrieved January 28, 2015. ^ Dargis, Manohla (October 8, 2004). "Learning to Be Fathers and Learning to Be Sons". The New York Times. Retrieved January 28, 2015. ^ a b Hooton, Christopher (March 20, 2014). "International Day of Happiness: Here's every Christopher Walken dance scene". The Independent. Retrieved January 28, 2015. ^ Hunter, Stephen (July 24, 2005). "With Walken, There's Something In the Glare". The Washington Post. Retrieved January 28, 2015. ^ "Waits Cast In 'Domino' Film". Billboard. December 17, 2004. Retrieved January 28, 2015. ^ Dawson, Nick (September 7, 2007). "John Turturro, Romance & Cigarettes". Filmmaker. Retrieved January 28, 2015. ^ Dargis, Manhola (June 23, 2006). "A Man-Child Who Has His World Under Control in 'Click'". The New York Times. Retrieved January 28, 2015. ^ "CHRISTOPHER WALKEN CAPTAIN HOOK". nbc.com. NBC. Retrieved January 28, 2015. ^ Scott, A.O. (July 19, 2007). "Teenagers in Love and a Mom in Drag in the '60s". The New York Times. Retrieved January 28, 2015. ^ Pham, Vincent; Ono, Kent A. (2009). Asian Americans and the Media. Polity. ISBN 9780745642734. ^ "$5 a Day (2008)". The New York Times. Retrieved January 28, 2015. ^ Turner, Cory (August 18, 2009). "'The Maiden Heist,' A Comic Tragedy In Three Reels". npr.org. NPR. Retrieved January 28, 2015. ^ Fernandez, Sofia M. (November 29, 2011). "Unreleased Walken-Wagner Film Being Shopped; Director Thinks Natalie Wood's Death Was 'Accident'". The Hollywood Reporter. Retrieved January 28, 2015. ^ CATSOULIS, JEANETTE (March 10, 2011). "Mafia Madness". The New York Times. Retrieved January 28, 2015. ^ Miller, Julie (September 10, 2012). "Christopher Walken on Seven Psychopaths, His Days as a Lion Tamer, and the One Role He's Still Searching For". Vanity Fair. Retrieved January 28, 2015. ^ Patterson, John (April 1, 2013). "Christopher Walken's A Late Quartet is a beautiful sunset-minuet". The Guardian. Retrieved January 28, 2015. ^ Holden, Stephen (December 13, 2012). "In Gangster State of Mind: Aging? Fuhgeddaboutit". The New York Times. Retrieved January 28, 2015. ^ Farber, Stephen (February 14, 2013). "The Power of Few: Film Review". The Hollywood Reporter. Retrieved January 28, 2015. ^ Weissberg, Jay (November 23, 2013). "Rome Film Review: 'Gods Behaving Badly'". Variety. Retrieved January 28, 2015. ^ Baker, K.C. (June 11, 2014). "Christopher Walken Is a Dancing Machine in Jersey Boys". People. Retrieved January 28, 2015. ^ Wilson, Benji (March 10, 2014). "Christopher Walken on BBC Two's Turks & Caicos: 'I have a powerful silly streak'". The Daily Telegraph. Retrieved January 28, 2015. ^ Team, Soth (April 14, 2014). "Christopher Walken in the Hamptons Films 'When I Live My Life Over Again' at The Bentley". Dan's Papers. Retrieved January 28, 2015. ^ McNary, Dave (May 5, 2014). "CANNES: Christopher Walken Joins Jason Bateman, Nicole Kidman in 'Family Fang'". Variety. Retrieved January 28, 2015. ^ Jarvey, Natalie (January 13, 2015). "Christopher Walken, Mark McGrath Join Crackle's 'Joe Dirt' Sequel". The Hollywood Reporter. Retrieved January 28, 2015. ^ a b Anthony D'Alessandro (March 31, 2015). "Christopher Walken Joins Movies 'Nine Lives' & 'Eddie The Eagle'". Deadline. Retrieved April 24, 2015. ^ Feeney, Nolan (July 28, 2014). "Christopher Walken Joins Disney's New The Jungle Book". Time. Retrieved January 28, 2015. ^ Ford, Rebecca (February 28, 2017). "Christopher Walken, Steve Coogan Join 'Irreplaceable You' (Exclusive)". The Hollywood Reporter. Retrieved March 21, 2017. ^ Stanley, Alessandra (June 27, 2003). "TV WEEKEND; Caesar Rendered for the Small Screen". The New York Times. Retrieved January 28, 2015. ^ "Walken Filmography". NeptunePictures.com. Retrieved July 17, 2010. ^ Webb, Rebecca (February 18, 1998). "Christopher Walken at Stratford". ^ Feingold, Michael. "Him Review, Play by Christopher Walken". ojai.net. Retrieved January 13, 2008. ^ "Christopher Walken – Other works". IMDB.